Versymmetric® 3-stage-front arms safely lift both symmetrically and asymmetrically within the same service bay maximizing service capabilities and revenue potential. Safety Lock Release System: with improved performance and reduced maintenance. Safety release cables will be pre-assembled within a protected plastic sheathing , which guides the cable, eliminating the need for routing over pulleys. With this system the cable end connections points are easer to mount and adjust. 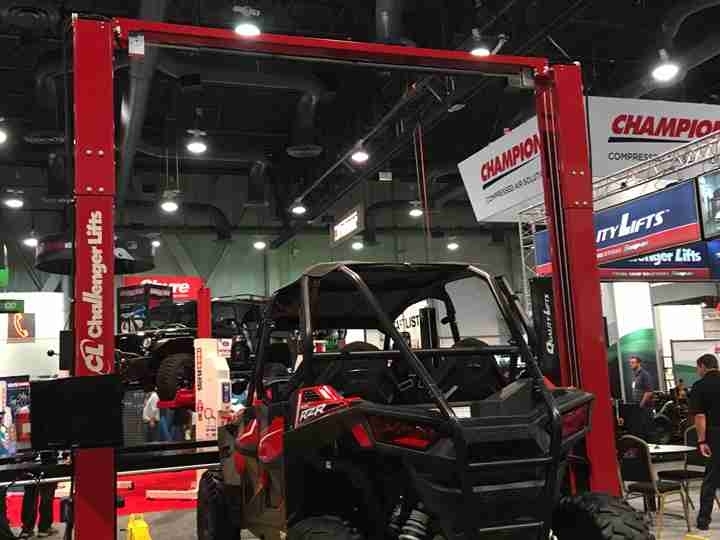 Challenger Lifts comprehensive line of automotive lifts and car lift accessories are inspired solutions that create increased shop efficiency and enhanced revenue potential. We specialize in the design, manufacture and distribution of two post auto lifts, four post lifts, inground car lifts, mobile column lifts, short & mid-rise car lifts. 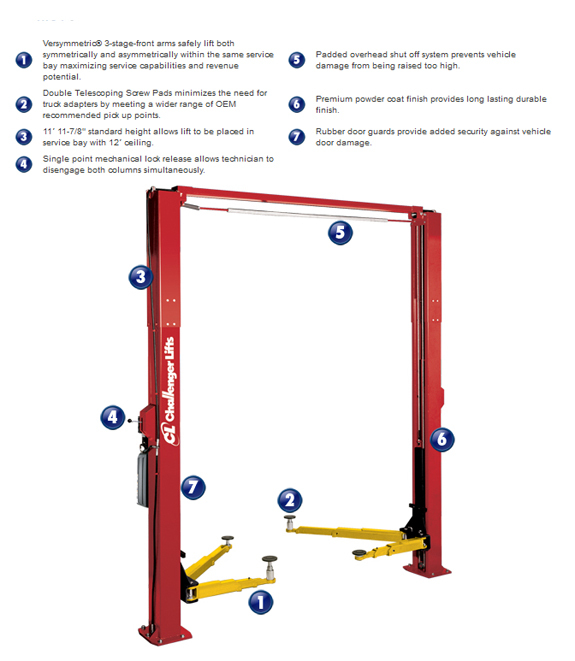 Learn about Challenger’s innovative Versymmetric® Technology, providing technicians the versatility to lift vehicles both symmetrically and asymmetrically within the same service bay. This exclusive technology used in our 2 post car lifts facilitates increased efficiency and revenue potential.